“WebProfSystems” is a Russian-based company specializing in development of software applications delivered according to SaaS business model. The bulk of its customers is formed by corporations that rendering integrated services to users in the Russian segment of the Internet. One WebProfSystems’s most popular developments is a software complex solution “Virtual Registrar”, an application for domain names registration and management, and provision of DNS hosting services. Virtual Registrar is an extendable mechanism to operate top-level domains by employing, and directly interacting with, both their registries and registrars’ reselling interfaces. This complex has been successfully employed by the Coordination Center for Top-level Domains .RU/.РФ and five registrars accredited with the CCTLD for Russian TLDs. WebProfSystems contributed as a subcontractor to drafting applications for New gTLDs with regard to technical questions of the said applications, and as an expert evaluator. The company’s key staff boast more than a decade-long record in the domain names registration business are well aware of its peculiarities and a huge expertise in the area of operating highly loaded applications. “WebProfSystems”, LLC was incorporated on 29 June 2010 under Primary State Registration Number (PSRN) 1107746518109 with the Federal Tax Service in the city of Moscow, and was assigned Taxpayer Identification Number (TIN) 7734638953. 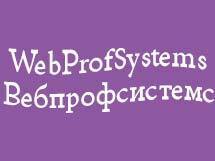 “WebProfSystems”, LLC bases its operations on its Charter and the effective law of the Russian Federation. Given peculiarities of its principal operations, the company is eligible for presumptive taxation procedures. other operations associated with the use of ADP equipment and information technologies.